A bright red safety collar around the clutch clearly indicates when the Quick Release is not properly engaged to prevent you from accidentally dropping the microphone. 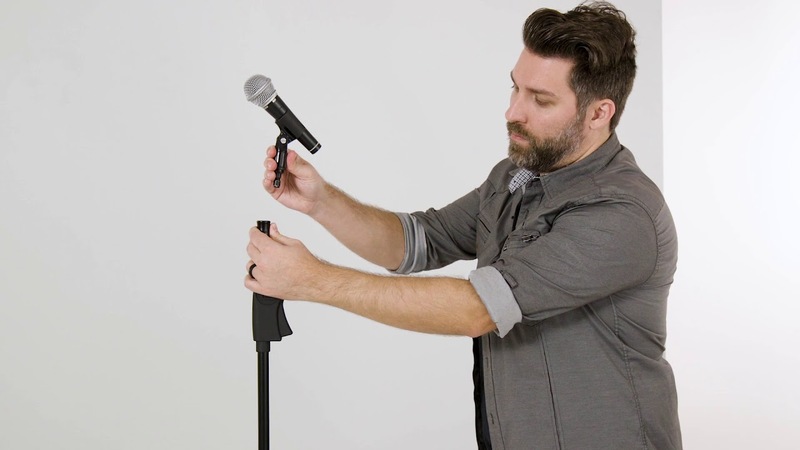 Quickly mount and dismount your microphone from its stand in two incredibly simple steps with the easy to use, ergonomic clutch release system. The included adapter easily installs onto microphone clips allowing you to pop the microphone off and back onto the stand in seconds. Utilize multiple adapters pre-installed on microphones for quick change-outs. The threaded end of adapter easily installs onto microphone clips and stays in place during rigorous use.